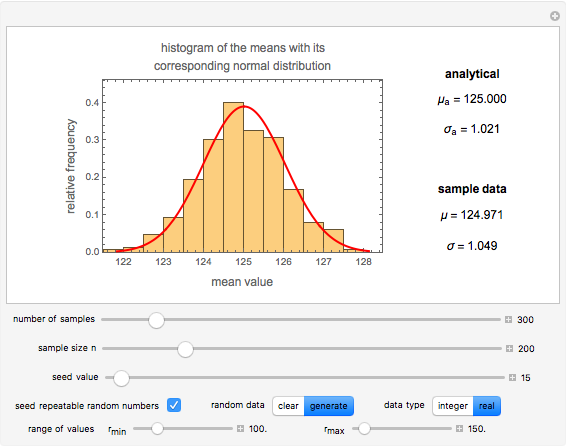 This Demonstration shows the applicability of the central limit theorem (CLT) to the means of samples of random integer or real numbers having random ranges. It allows the user to generate such datasets and plot the histogram of their means. 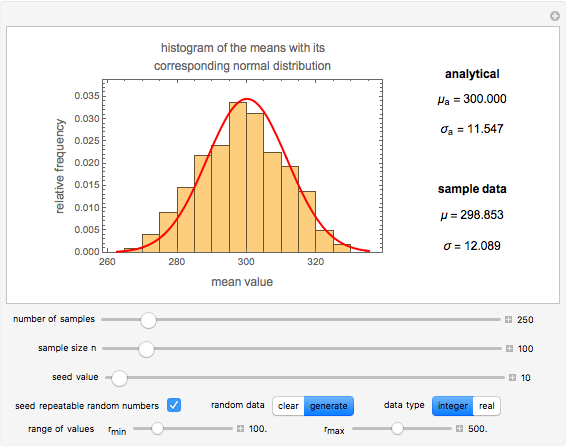 Superimposed on the histogram is the normal (Gaussian) distribution function that gives the theoretical distribution of these sample means. Also shown for comparison are the numeric values of the mean and standard deviation, both of the theoretical distribution and of the generated data. 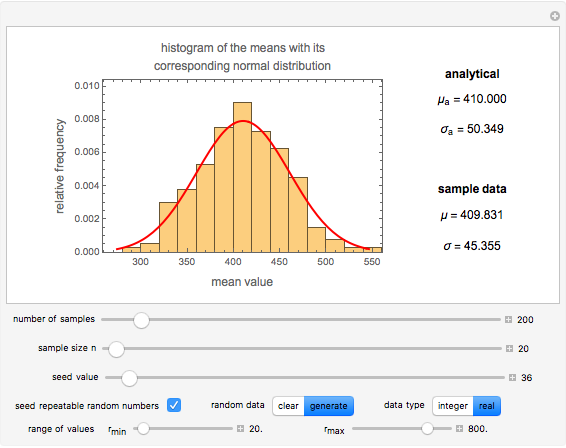 According to the central limit theorem (CLT), under certain conditions the distribution of the means of sets of random numbers is approximately normal (Gaussian). 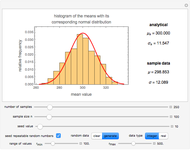 This Demonstration lets you select with sliders the number of sample datasets, the number of values within each dataset (sample size), and the range in which they can randomly vary to ). It then generates the sets of random numbers within the specified range limits and plots the histogram of their mean values. It also calculates the theoretical distribution of these means and superimposes it on the histogram. Either way, you can choose the generated random members of the sets to be either integers or real numbers. Micha Peleg "Central Limit Theorem Applied to Samples of Different Sizes and Ranges"